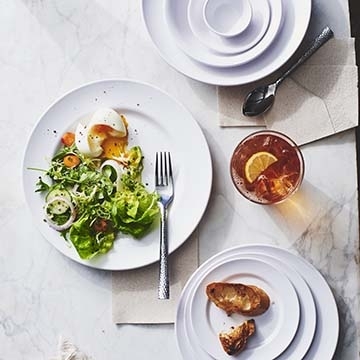 Aptly named, the Steelite Fundamentals melamine collection is an excellent option for virtually any foodservice operator looking to offer a beautiful, yet simple look on their tabletop. Classic rims and bright white color make food look great and make this pattern an easy choice for chefs, while high quality, durable melamine make it even easier when considering replacement costs. If you are looking to make a smart, long-term investment, it is time to look to Fundamentals.